Something fake in China? You don’t say! 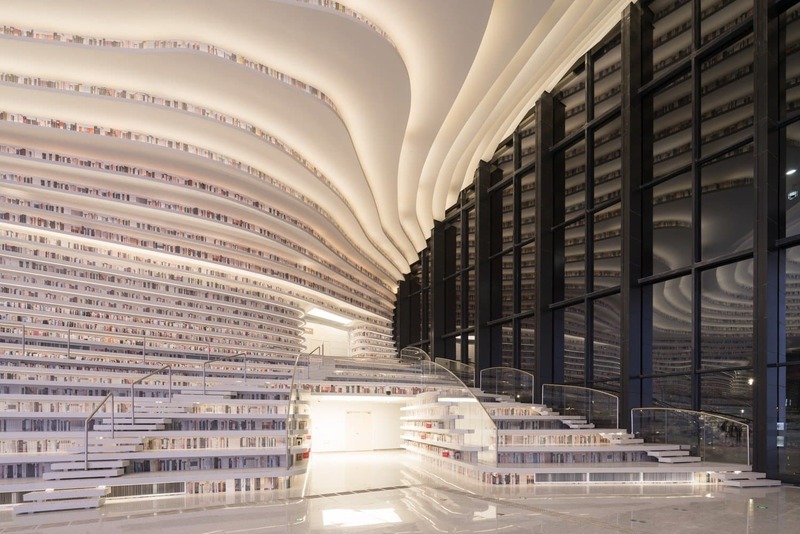 We’re sure you’ve heard of China’s newly-opened Tianjin Binhai Library. This bookworm’s paradise recently went viral for its futuristic design and sprawling space. Book lovers the world over quickly fell in love with the space’s sci-fi inspired interiors and massive collection of books. These days, thousands of people come to visit the library, especially during weekends. 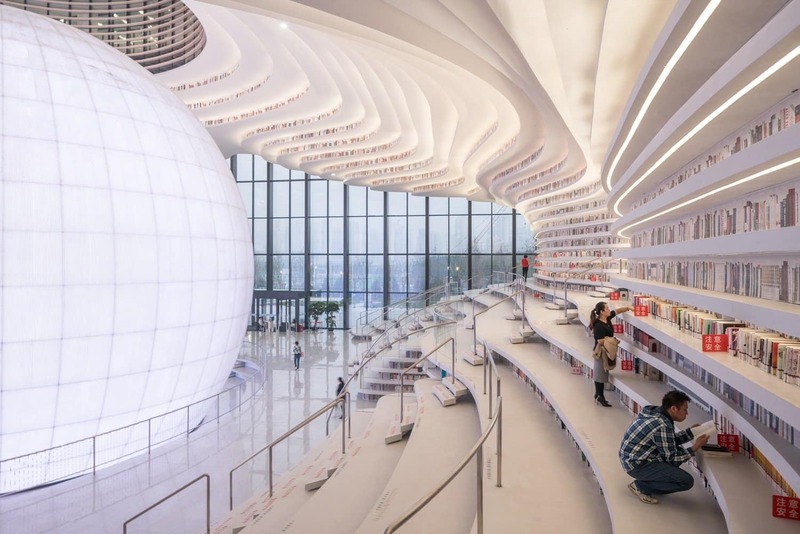 However, reports are claiming that a lot of the books inside the Tianjin Library are actually fake. Many readers’ hearts were broken when this news broke out. The structure was designed by Dutch architectural firm MVRDV. 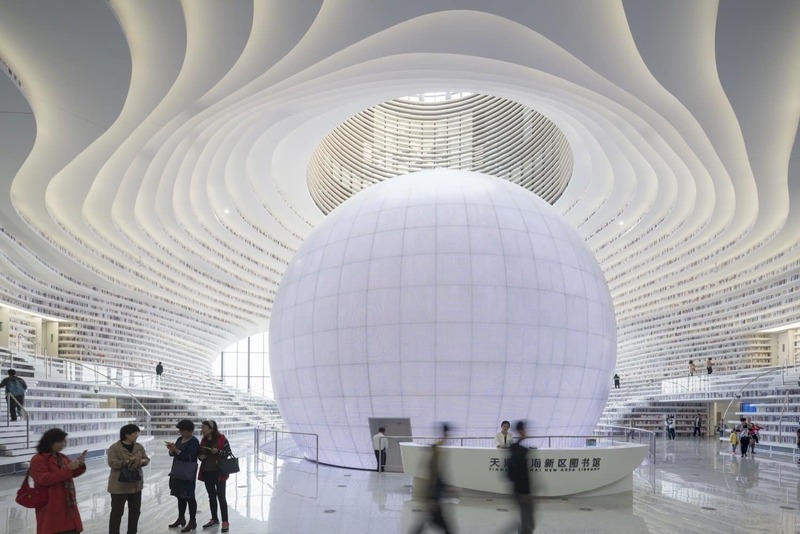 The library is designed like an eye, with a spherical auditorium, which serves as the iris, at the center. 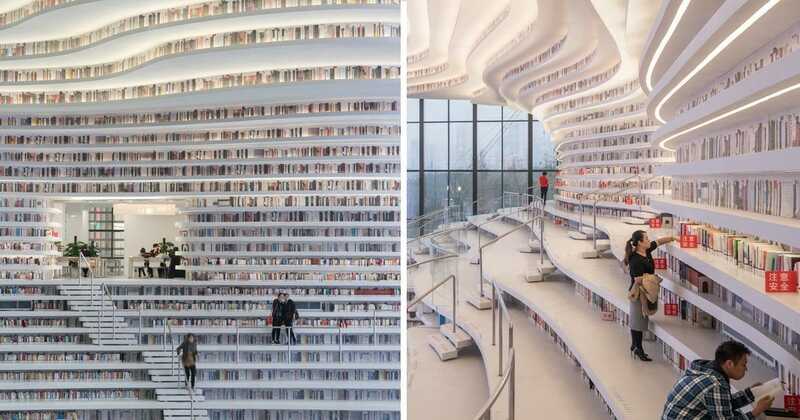 Around the “iris” are terraced shelves that that look like they contain books. But apparently, a lot of them don’t. Some of the terraced shelves in the atrium have rows and rows of fake books, or aluminium plates that were painted to look like book spines. According to AFP, most of the books, the real ones, are located inside rooms that have more classic bookshelves. So it seems that the impressive and sleek white shelves of the atrium were only for aesthetic purposes and not really for showcasing books. The fake books are reportedly a result of fast-tracking the construction of the library. 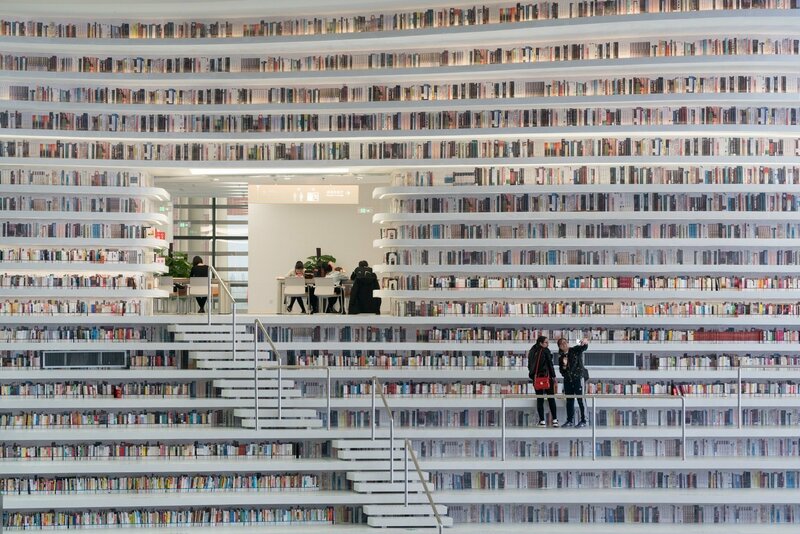 According to the report, MVRDV intended for all the terraced shelves to be accessible and to contain real books, but the idea was dropped after a decision to speed up the construction was made. But Liu Xiufeng, the library’s deputy director, blamed the design. What do you think of this news? Would you still like to visit this library? It has to do with their traditional wedding practices. Weddings are meant to be fun, festive, and filled with love. But in China, these ceremonies could be dangerous for bridesmaids. It has to do with traditional wedding practices that get pushed way too far. 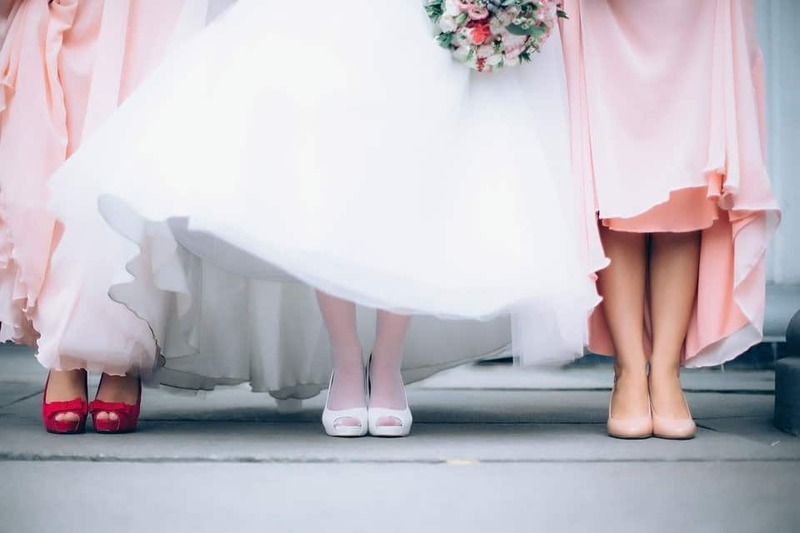 In China, bridesmaids are vulnerable to harassment and different forms of abuse. 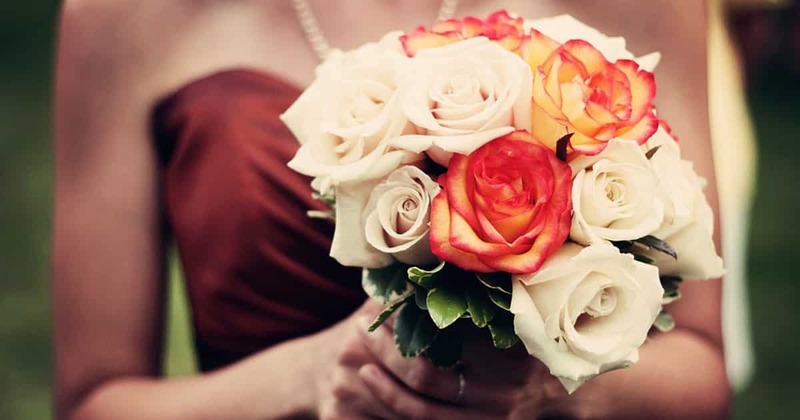 In September, for example, a bridesmaid in Wenchang, Hainan province reportedly died after she was pressured to consume an excessive amount of alcohol on behalf of the bride. There were also reports and video footage of Liu Yan, a famous Chinese actress, being dumped into a swimming pool by the groomsmen at her friend's wedding. Bridesmaid traditions in China have a long history. Alcohol Or Marijuana, Which Is More Dangerous? “Which is more harmful between the two – marijuana or alcohol?” This type of question is something you may have already debated with your buddies. But what does science actually say about the subject matter? Well you might be surprised to find out that even experts are divided in their opinions regarding this topic. It’s definitely a difficult question to answer. Cannabis and alcohol: What are the differences? With today's technology, anyone can get answers by simply "Googling it." You can use the popular search engine for looking up even the strangest information and the great thing is that the world wide web is a great tool for everyone. The only downside is people can give you an answer - whether it's a fact or not. Those who are gullible enough will believe everything they read about or see on the Internet even if it happens to be a hoax. But there are also answers that offer logical explanations to situations that not many understand. These are the times when we can be thankful for having the Internet, particularly the discussion website Reddit. #1. That time you're wondering about this big nope.